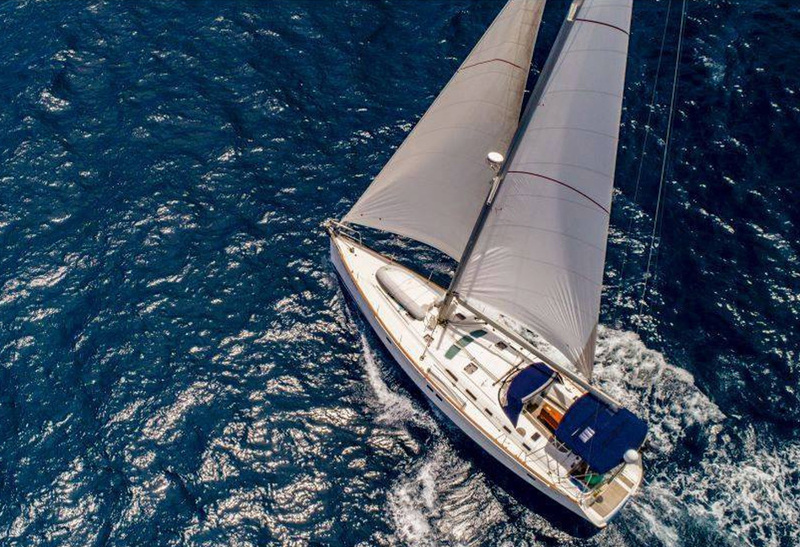 At 52’ in length, 16’ wide at the beam and weighing 28 tons, this beautiful Oceanis sailing boat is one of the largest, most spacious and most comfortable private yachts offered for Day and Term Charters in Antigua. 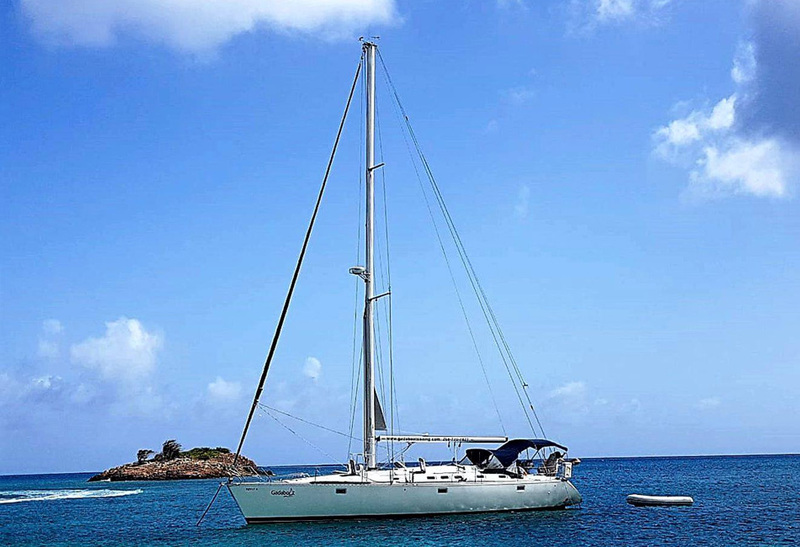 She is licensed and insured for up to 6 guests with plenty of room to move around above and below deck. The roomy cockpit has cushions for comfort and an awning for shade. There is a swim platform on the stern for ease getting in and out of the water and a fresh water rinse. 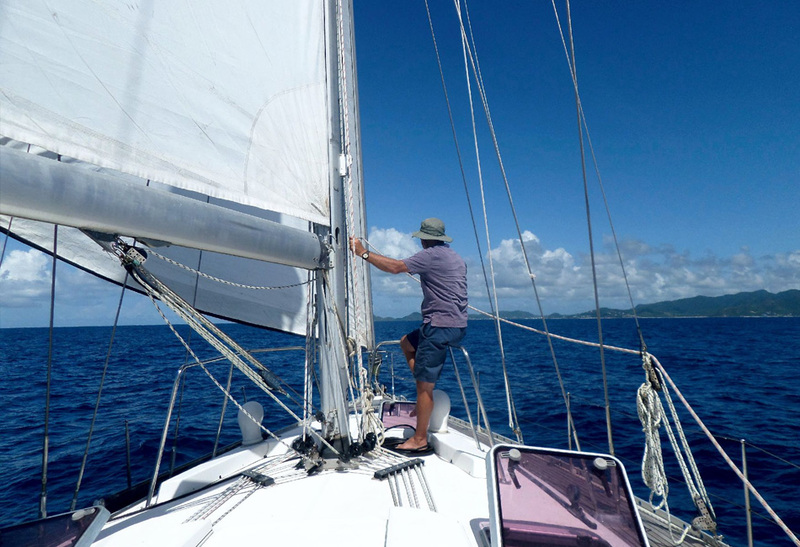 They sail on turquoise waters along Jolly Beach, Ffryes Beach, Darkwood Beach, Turners Beach, Cades Reef, and Carlisle Bay. Jibing around to slip by 5 Islands into Deep Bay where they explore the wreck. Sailing homeward they will stop for a final swim at secluded Pinching Bay, sometimes they sail on for the sunset. 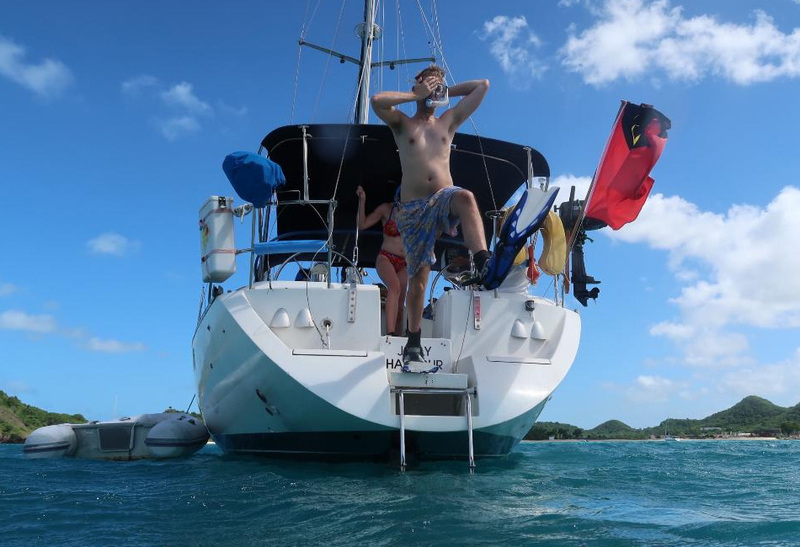 Spend time on the anchor: Diving off the side; snorkeling; drifting on noodles; bellies full of fresh lunches; thirsts quenched with prosecco, wine, beer. The soon to be famous rum punch takes us by the setting sun. Great conversation and music… Faces sun-kissed. George Bridger will be your captain and his wife Stacey, your hostess. 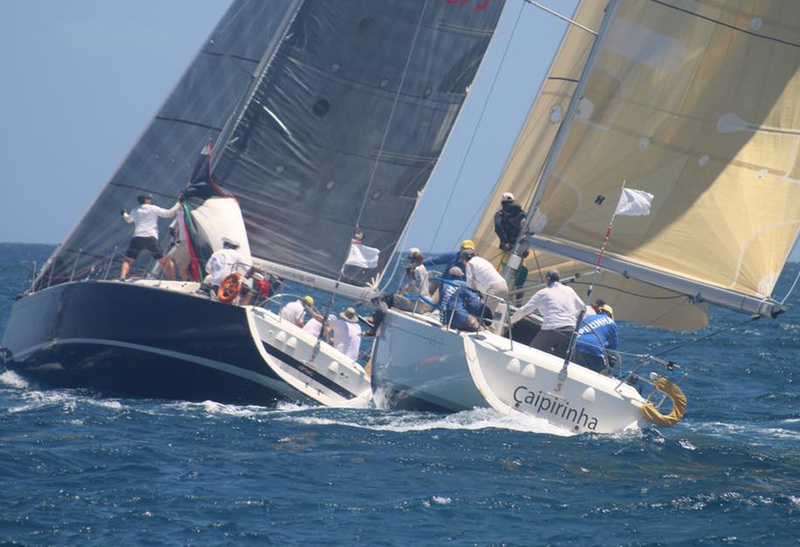 George came to Antigua for a sailing week in 1980, bought the beloved s/y Stargazer in 1987, won race week in 1988 and 89, and married his best friend in 1992. All events took place in Antigua which has been home since the I do’s….. 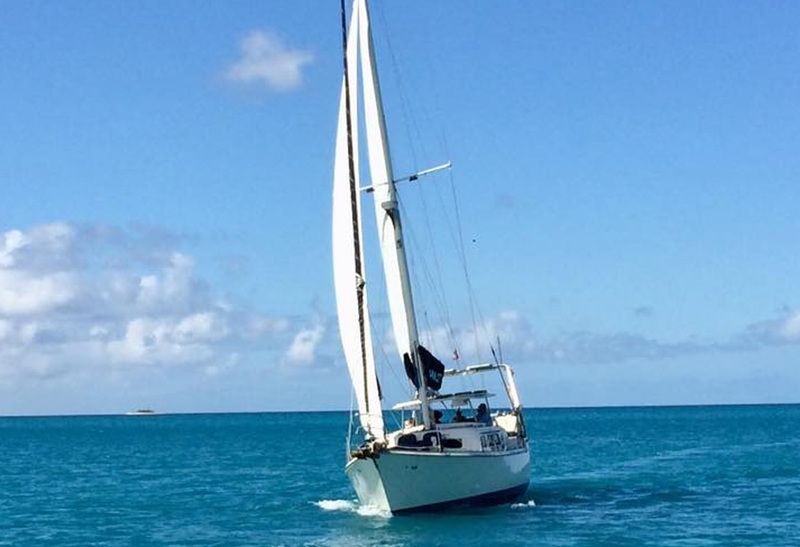 This 3-hour sail is about winding down the day. Sometimes before dining, we join our friends for sundowners, sitting on a lovely beach or in the tiki bar gazing at the horizon anticipating the setting sun, and that’s special … OR!! Get on board and sail out greet the sunset. Sail with the sun and enjoy music, champagne, hors d’oeuvres …gentle, sweet, even spiritual and perhaps the “green flash”. Have your camera ready, the lighting is perfect. 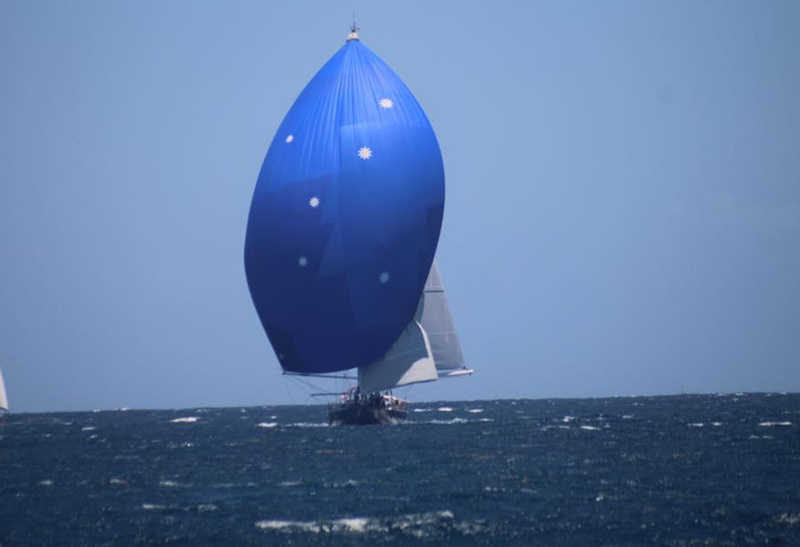 In four hours you can still enjoy the exhilaration and relaxation of sailing along the coast. Enjoy swimming, snorkeling and sunbathing on the deck. Get involved at the helm or tacking. The bar is still open, grab snacks anytime and a light lunch of dips and finger foods will be served. 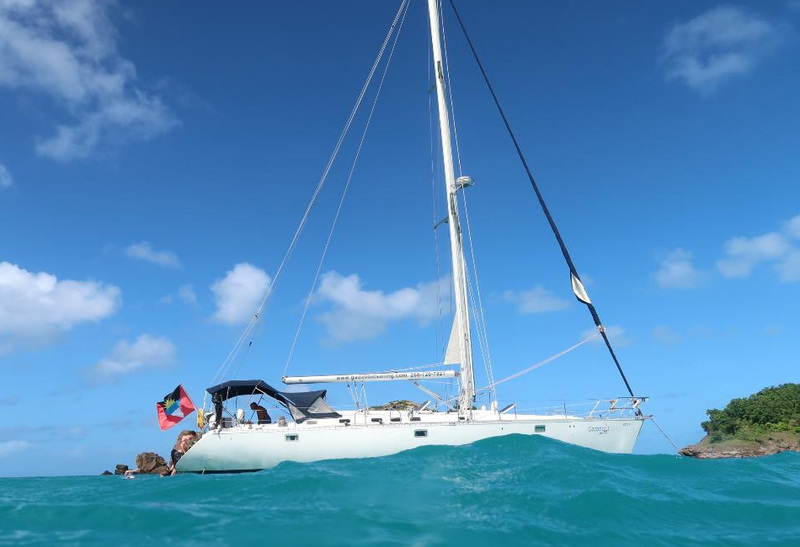 This full 6hour day enables you to visit more than one destination, such as sailing to Cades Reef, a snorkeler’s paradise in these shallow crystal waters. Perhaps the winds are calling us to Deep Bay to snorkel the wreck. After playing with the fish or exploring the “deep”, enjoy icy cold beverages of your choosing, with some appetizers and fresh hearty but healthy lunch. Did someone say, “Let’s go to the beach!” there are a few not so far from here! A brief sail to a quiet beach, it is all yours. Or float on noodles with a chilled glass of rose’ and give yourself over to the afternoon. Let’s get everyone on board and sail out to greet the sunset. How about Stacey’s soon to be world famous Rum Punch!! 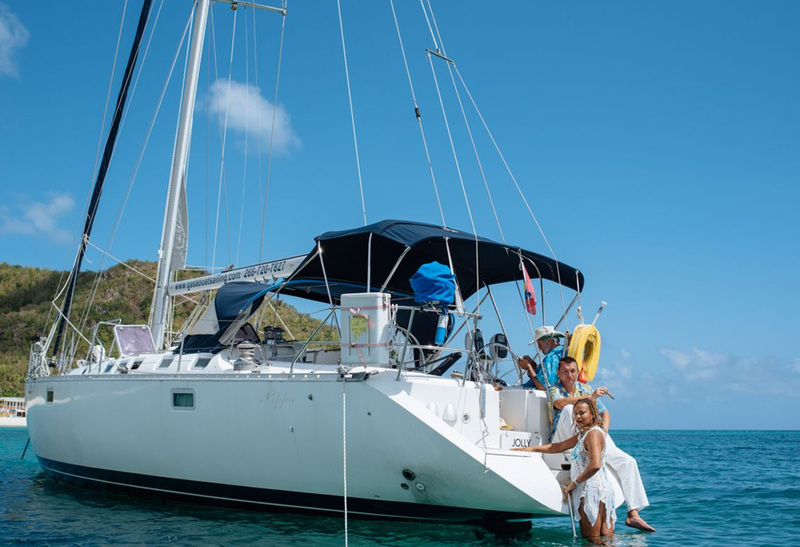 This 6-hour sail mirrors all the enjoyment of the Full Day above but will have you back at the dock, salty and sun-kissed in time for your evening plans ashore. This full 8-hour day enables you to visit more than one destination, such as sailing to Cades Reef, a snorkeler’s paradise in these shallow crystal waters. Perhaps the winds are calling us to Deep Bay to snorkel the wreck. After playing with the fish or exploring the “deep”, enjoy icy cold beverages of your choosing, with some appetizers and fresh hearty but healthy lunch. Blissfully sail with the setting sun the lighting is now picture perfect. Before heading in, observe the sun as it disappears, perhaps you will be blessed with the green flash to end the perfect day. 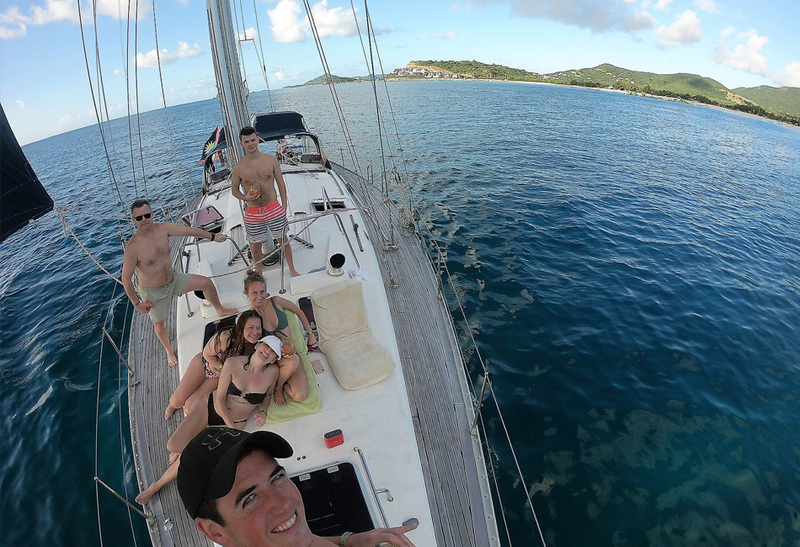 © 2019 Antigua Yacht Charters, all rights reserved.